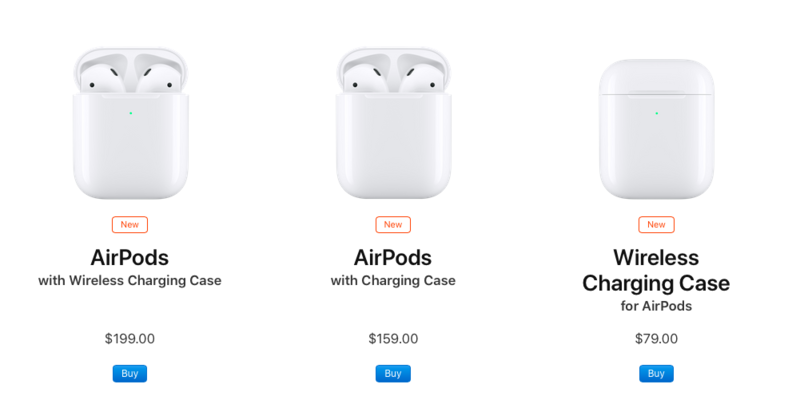 AirPods 2 are already out by Apple where AIRPODS 2 WITH WIRELESS CHARGING CASE can cost you 199$, as people were waiting for the AirPods and in just one-night apple updated their airpods line, which wasn’t that surprising because everyone was expecting the airpods in WWDC 2019 which is going to be held in June 3-7 ,2019. Now with the new “AirPods 2“, you can get up to More than 24 hours listening time, and 18 Hours of talk time in one single charge in the wireless case, ‘AirPods 2 single charge’ can stay Up to 5 hours listening time, and up to 3 hours talk time on call Audio or Video. With the new AirPods 2 you don’t have to dubble tap to use Siri you can Quick access to Siri by saying “Hey Siri” or setting up double-tap for Siri to Assist you for playing songs or call your loved ones.